Despite my numerous reviews for bars and gay clubs, I am also a soul yearning to find a church to call my own. I know that I’m not alone because a simple “church” query on Yelp yields reviews from people like me who have tried out countless churches across LA with that same desire. My parameters for a church seem very simple, but almost impossible to find. The number one thing, obviously, is that it be Christian–I’m flexible with the denomination. Two, it should have an accepting and welcoming stance on gay people. My best friend and brother-in-law is gay, and I would never want to be a part of something that didn’t welcome and love him too. Three, no Bible-thumping. I want a sermon that brings passages alive with messages that are applicable to my life. 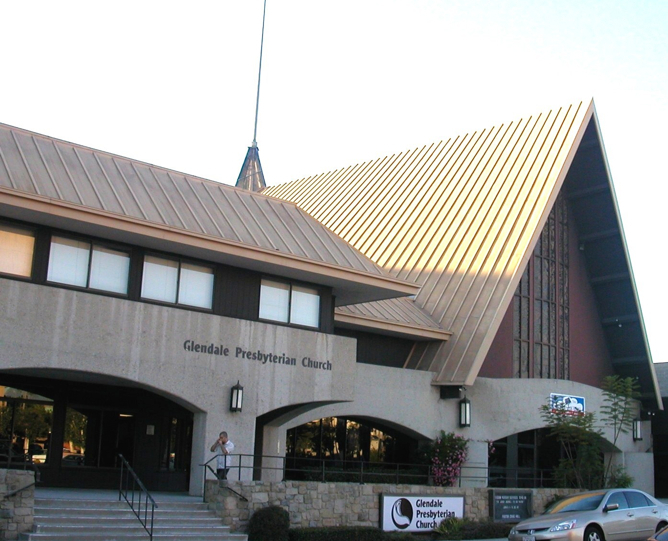 In LA, I’ve attended Eagle Rock Presbyterian (too many rotating pastors with varying oratory skills), Reality LA (too sceney), Lake Avenue (too traditional) among many others and Glendale Presbyterian is the only one I immediately volunteered to go to again. Things that stood out: The Congregation. Yes, the median age here is closer to 70, but there was a very welcoming embracing of the younger people and couples. Second, the Pastor is a gifted speaker who weaves in thoughtful anecdotes into sermons with the ease of a hot knife through butter. Third, the “we’re in this together” attitude that permeated nearly every aspect of this church. Examples from just 1 service: the 70+ year old pianist with her 20-something, Lady Gaga-esque organist bringing down the house with a rendition of “Ode to Joy” that would make Elton John jealous, the all-volunteer pre-school and the constant message about praying for your friends, neighbors, community and country. The sermon the day that I went was about prayer and what it means to pray. I can say without a doubt that I learned something that 10 years of Christian school never taught me. It was a message that resonated so deeply that I just knew I had to go back to learn more. Here’s to keeping hope alive that this might be The One!